The right combination of exercise, choosing the right foods, and cutting back on portions will help you lose those extra pounds. Though losing weight will be your overall goal, you will take many smaller steps to reach it. Set a few smaller goals at a time and don't try to do it all at once. It takes time to build new habits and break old ones. Slipping up once in a while will happen – we are all human! Just be sure to get back on track the next day. What is the behavior that you will change? Be specific. Don’t try to change too much at once. Be realistic. Eating Goal: Four days each week (How Often) I will eat an apple instead of ice cream as my evening snack (Realistic and Specific). Physical activity Goal: Five days each week (How Often) I will take a 30 minute walk during my lunch hour since I don’t really need the whole hour to eat (Realistic and Specific). Notice that the eating goal is not “I will eat more fruit” or “I will eat healthier.” The activity goal is not “I’ll walk more.” Goals like that are not specific enough. Once you set your goals, start setting up a plan to help you achieve them. 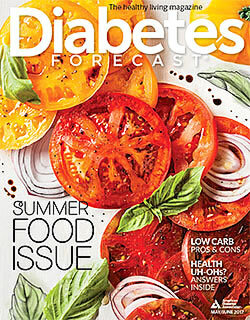 Another helpful resource for getting started is our book, Diabetes Weight Loss, Week by Week.